The road is an invitation to many adventures. And a motorcycle is the perfect companion for your quests. But, it’s not just you and your motorcycle. You need a few trusty sidekicks in your band. So, in addition to the camping essentials, let’s look at what you need before you hit the roads. Well, you can think of many things to take with you, but if you boil it down to the super essentials, there are just three. One of the most common and most annoying troubles that crop up during long rides is a flat tire. In such situations, having a pump to inflate a flat tire is a blessing. Next, you need to protect your ride from the elements. A good tent can keep you warm and dry, but you’ll need a motorcycle cover that can shelter your bike from the elements. Lastly, you need a backpack to carry everything. These things make an excellent motorcycle camping gear. Shopping for a good motorcycle camping gear can be a little aggravating because of the sheer number of choices out there. But, to make things a lot easier for you, we’ve boiled the choices to the top pick from each category. You’ll have no trouble finding what you need from out list. So, let’s jump right in. This little portable and digital device takes care of one big issue for every biker out there: tires. It ensures that whether at night or in other rough environments, you will always be able to pump a flat tire. 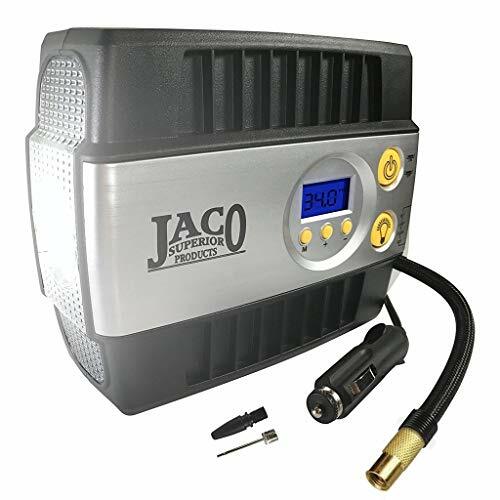 Another feature is that it has a built-in light, and a long reach power cord that makes sure that you can use this air compressor pump. It is also convenient as 100 PSI assures that it can be used with all tires. Moreover, its small size is easy to pack and transport. It also works for other types of vehicles. The piece of mind that comes with this modern marvel is definitely worth the money. Make sure that you’re protected against the elements at all times with this elite enclosure. Not only can you protect your bike, but everything else you bring with you. Have you ever been riding through the night during a storm and decided not to stop because you had no way of protecting your bike? Those times are done. 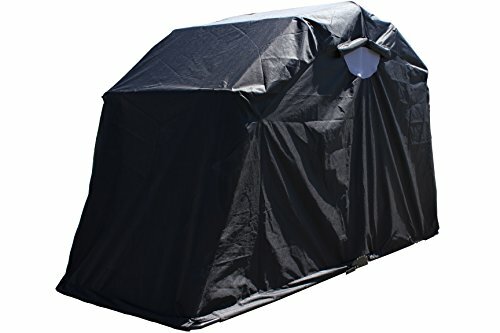 With this tent you can be sure that you will always be able to keep everything dry and in working condition. Its convenient size makes it ideal for storage. You can easily keep it inside your backpack until you need it. You will also have extra storage for when you’re home. If you have little space available in your garage, you can use this shelter tent to put your bike somewhere else in your property. This is the stylish and simple solution to your storage problems. This handy and sturdy Motorbike backpack is made for all of the experienced riders that need a secure and convenient way of storing all of their equipment. It has a lot of compartments so that you can carry everything needed for your outdoor adventure. With this backpack you can feel at ease knowing you have everything that you need on your back. The fact that it’s only 2.8 pounds means that you can carry it with you always. It also comes in your choice of Black or Tan so that you can always choose the color that fits your style. 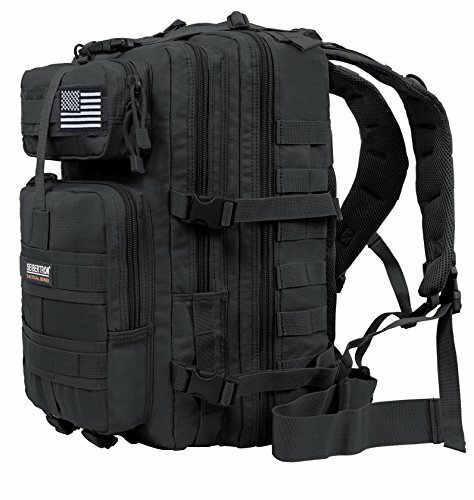 Seibertron has truly gone above and beyond with this backpack. It’s comfortable, lightweight, and big enough to carry the necessities of any biker. Unpleasant surprises ruin camping experiences. They come unannounced and spoil what was otherwise a great time. Unfortunately, there’s no way to block such events completely. However, if you’re well prepared, you can minimize the fallout resulting from emergencies. Having a great camping gear is one way to get an edge over unforeseen events. So, before you go on your next biking adventure, make sure you have these lifesavers. First, a portable pump to inflate flat tires. The odds of getting a flat tire has dropped significantly over the years. Strangely, this is the precise reason you should be prepared to handle a flat tire. Next, a cover to protect your motorcycle from dust and bad weather. Environmental assailants can not only spoil your motorcycle’s looks but also bring down its performance. Lastly, a motorcycle backpack to help you carry everything else. The bag should be spacious, durable, and functional. 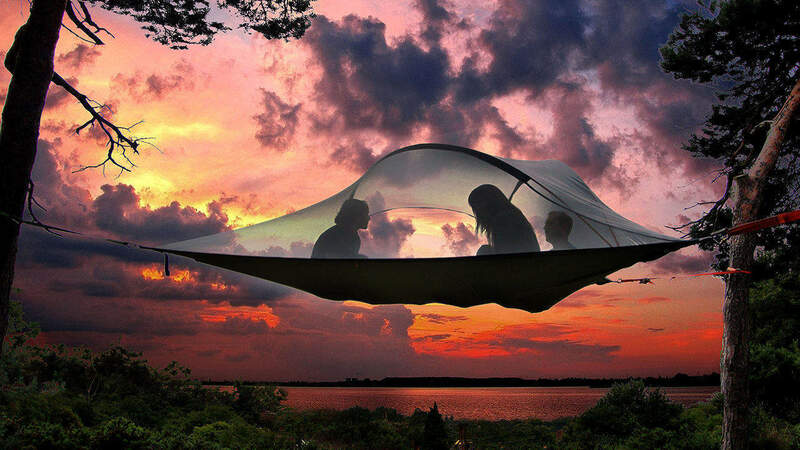 Also, see the list of camping essentials to be sure that you didn’t miss anything. Biking embodies the spirit of outdoor adventure. Few things are as free as cruising down the highway and feeling the wind on your face. At the end of the trip, you want to come home refreshed and revitalized. The perfect motorcycle camping gear will make sure you do. So, what are you waiting for? The road is calling.